Hello! 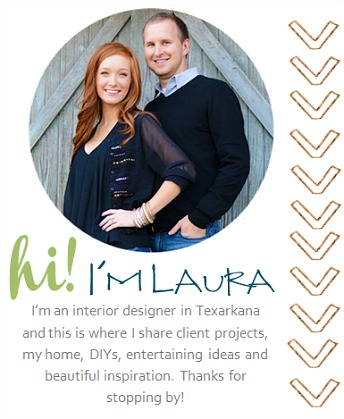 One of my favorite blogs, Centsational Girl, is having a link party called "Favorite Things in My Town." So, I thought I'd create a little post for you on my favorite things in my little town. Texarkana is a Twin City located in the northeast corner of Texas and the southwest corner of Arkansas. There are two of almost everything: two city mayors, two city governments, two police departments, and two fire departments, etc. It's "Twice as Nice". The Mister and I both grew up in Texarkana. I don't think either of us thought we would end up back here after college. But after getting married and finding jobs here, it just seemed right. All of our family is here and we are slowly but surely finding out our small town isn't all that bad. 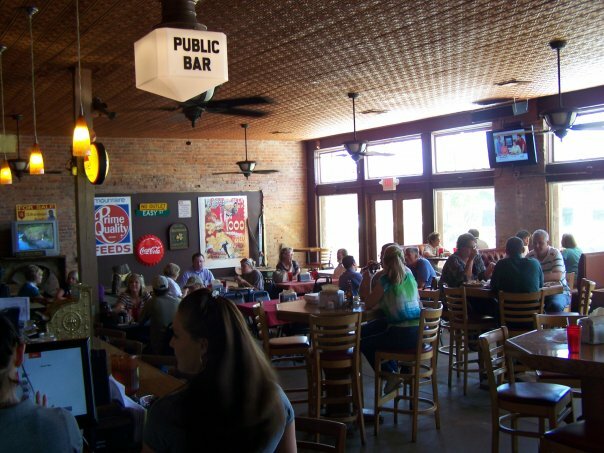 Some of our favorite things about Texarkana are the locally owned businesses that are located in our downtown. Our downtown is truly split between the two states with State Line Avenue running straight through the middle. Our Post Office and Federal Courthouse sits right in the middle of the street. It is known to be the "second most photographed post office in the United States". 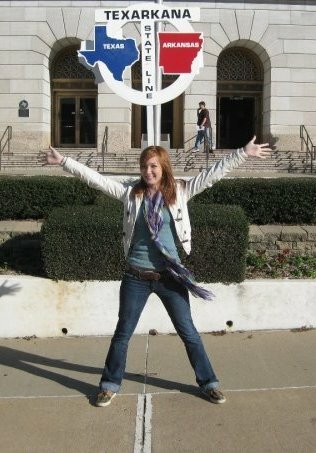 You can stand in front of this sign and have one foot in each state! Ok- Cheesy I know but people do it all the time! 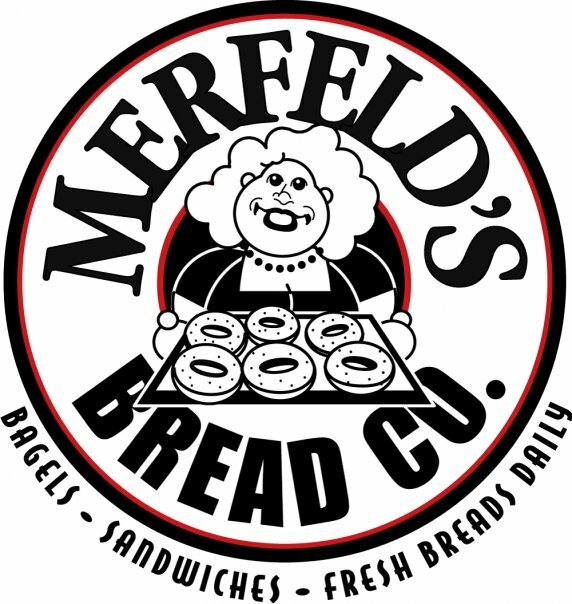 The best place to grab a great cup of coffee or a delicious sandwich is at Merfeld's Bread Company right across the street from the Post Office. My favorite sandwich is the Post Office Pineapple! 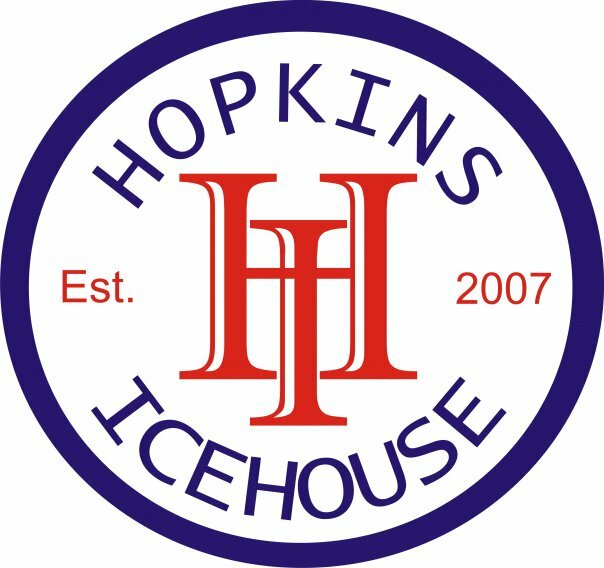 A great place to have dinner and drinks is at Hopkins Icehouse. It used to be an old feed and seed store (it still has "insecticides" on the building!) downtown but has now been renovated to a unique bar/restaurant. 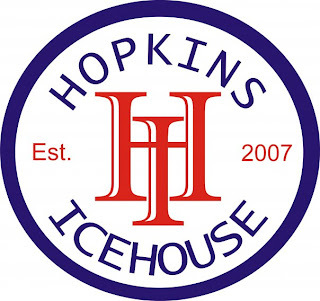 They have great food ranging from pizzas, like the "Buffalo Chicken" or the "Newton", to burgers and other dishes, like Blackened Catfish, Pecan Tilapia, and Fettuccine Alfredo. They have live music on the weekends and specials all through the week. 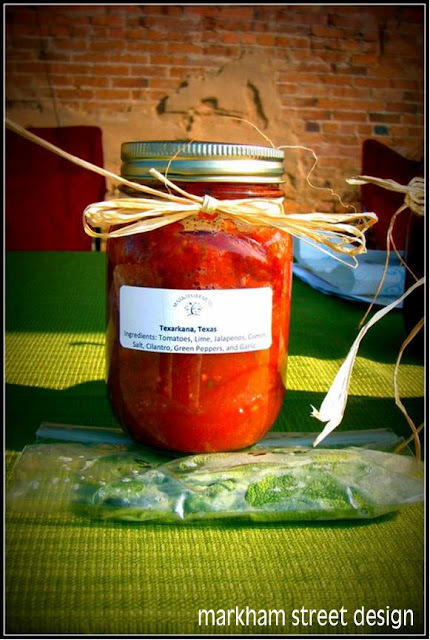 Our favorite place to get fresh fruits and vegetables is at the Texarkana, Texas Farmers' Market. This is where you can find us any Saturday morning selling the Mister's Best Salsa in the Ark-La-Tex! My favorite building is the old Grim Hotel. 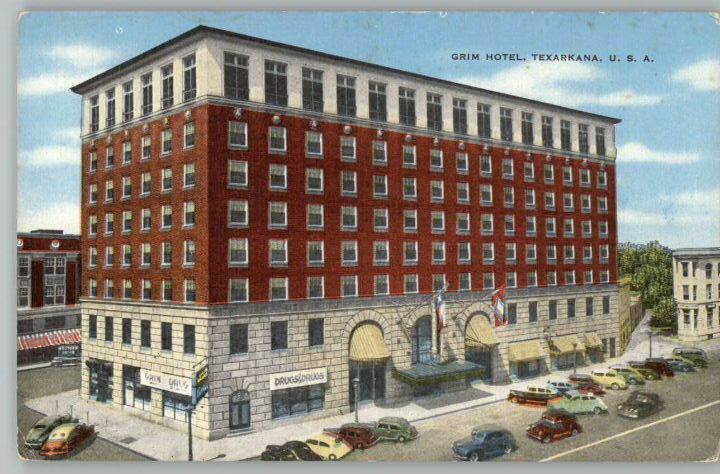 Back in the day, it used to be THE place to stay in Texarkana. 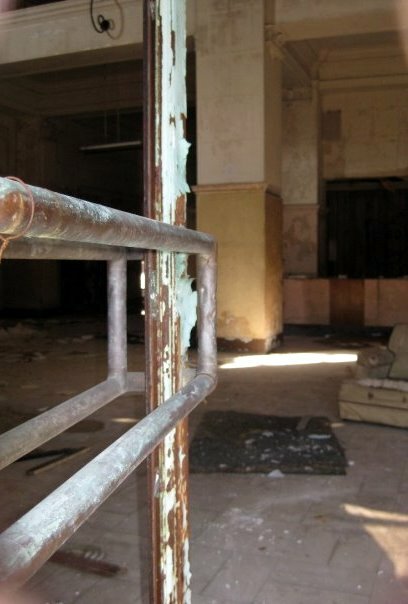 Now, it is abandoned and falling apart. BUT there are big plans to renovate it into luxury lofts and apartments in the years to come and I can't wait to see this beauty come back to life! And my favorite door (I told you I had a thing for doors!) is 213 1/2 Main Street. I love the color and the rustic-ness of the chippy paint! I have no idea where the door leads but I absolutely love it! The best place to watch the sunset is out over the dam on Lake Wright Patman. We live right down the road from the lake and love to head out that way for a pretty sunset! I guess my favorite thing to do is eat (by looking at all my "favorites")! Have you visited any of our favorite places? If you come to town, be sure to swing by! Hello! I just found your blog from Pinterest, your baby boy bibs were on there and I think I am going to have to make some for my cousin's new baby! Just wanted to say hi and thanks for the great idea! Love your home town! Found you through Centsational Girl link party and enjoyed your tour! 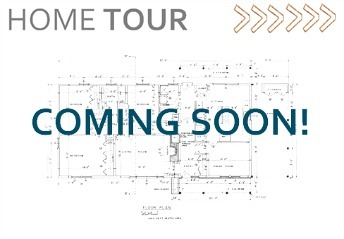 Perhaps I need to make it down South soon with all these great tours!